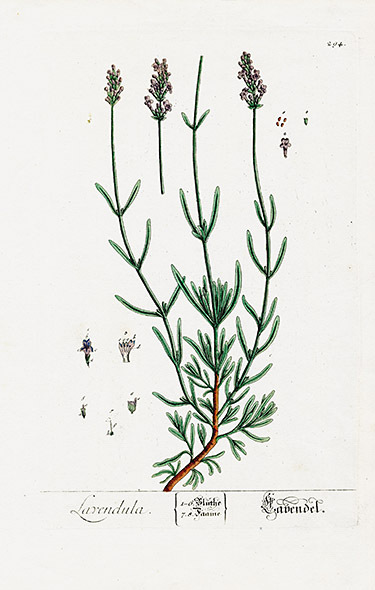 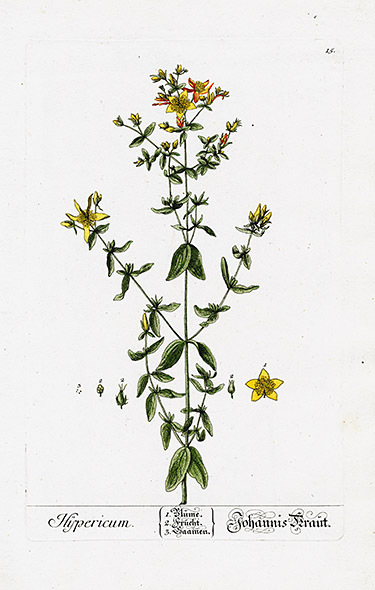 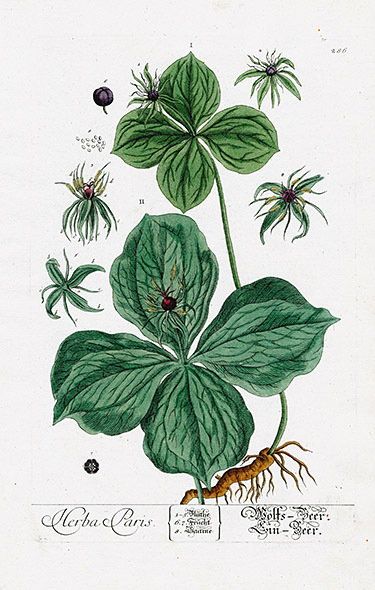 Elizabeth Blackwell was the artist and engraver of A Curious Herbal in 1737-1739, conceived to raise money when her husband was imprisoned for setting up in the printing business without serving the required apprenticeship. 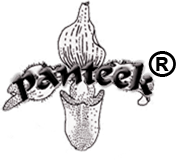 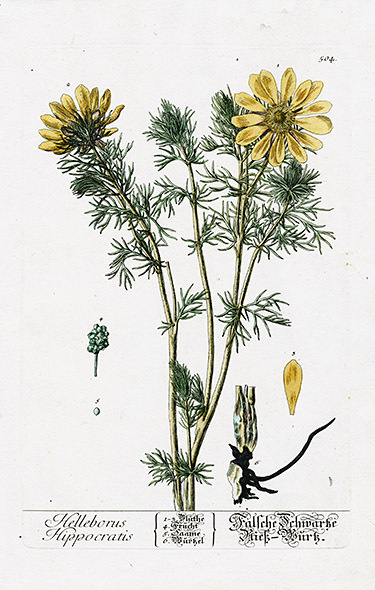 She recognized the need for a definitive herbal and began working close to the Chelsea Physic Garden, with its abundant gardens full of beautiful flowers and herbs. 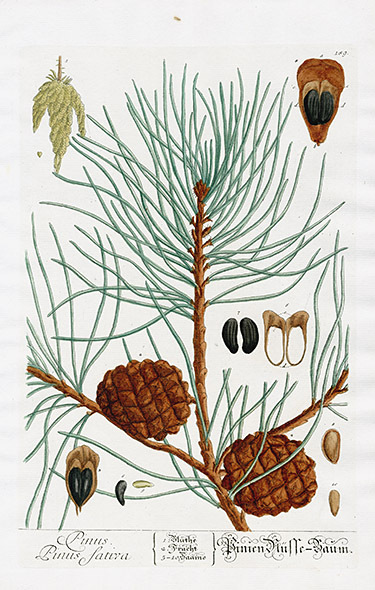 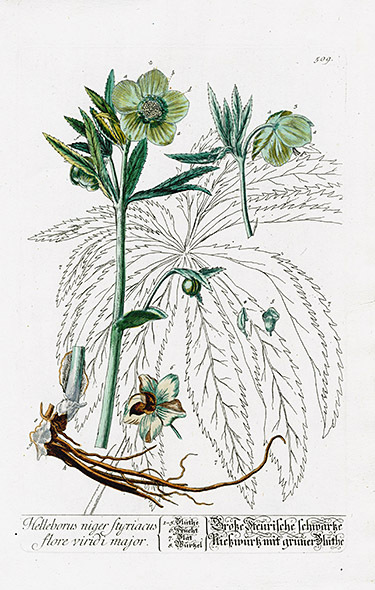 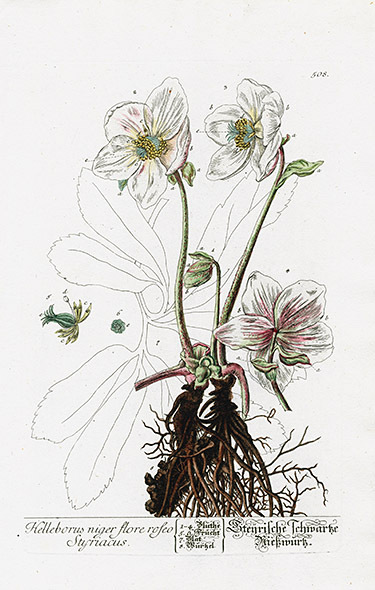 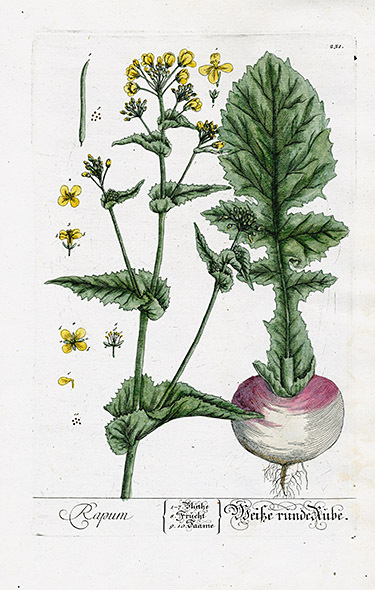 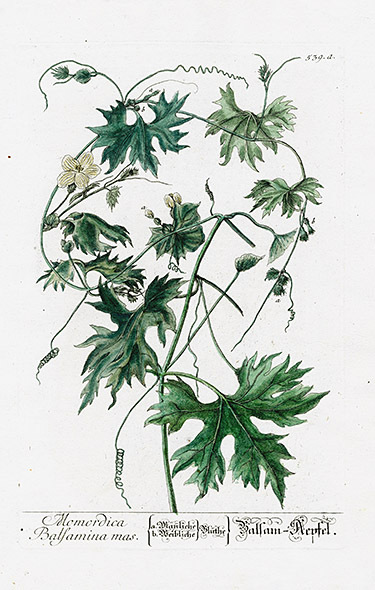 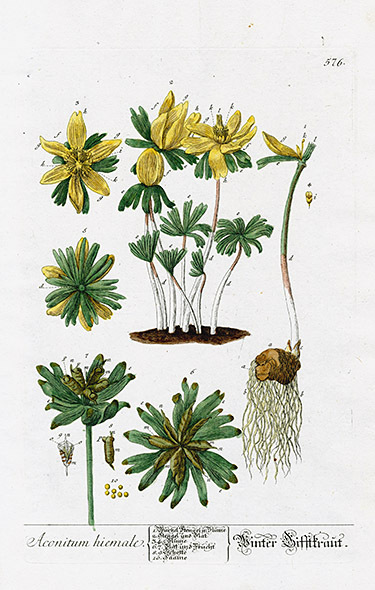 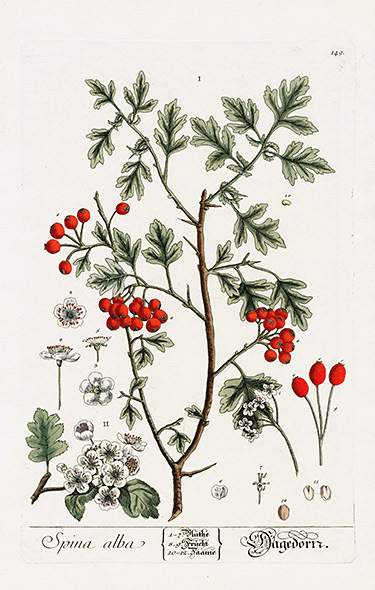 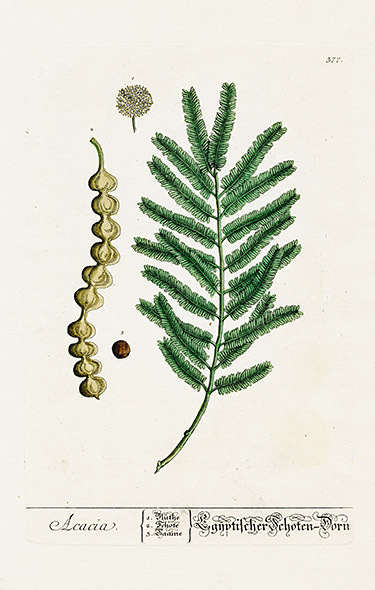 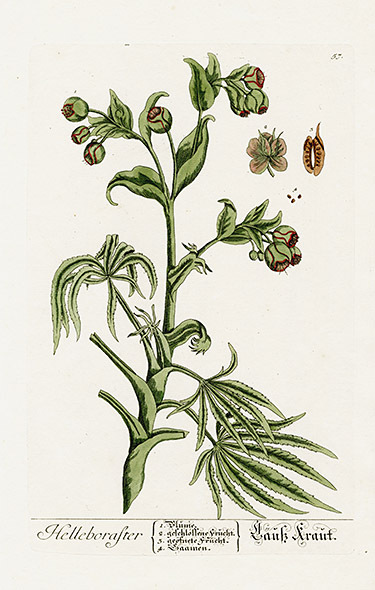 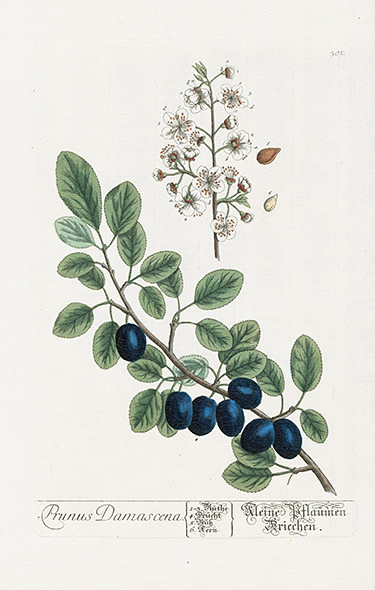 Unusual for the time, she also engraved and hand-colored her own prints single handedly instead of using the three separate craftsmen customary at the time - a botanical illustrator, an engraver and a painter. 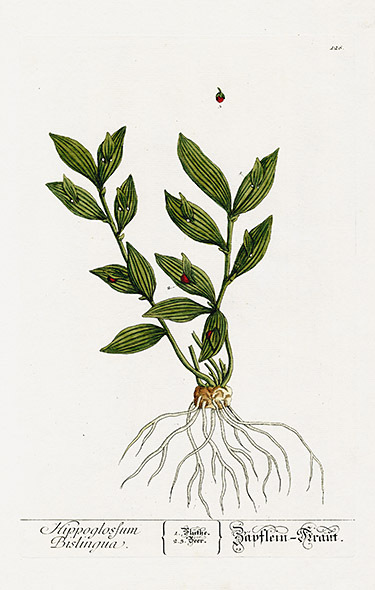 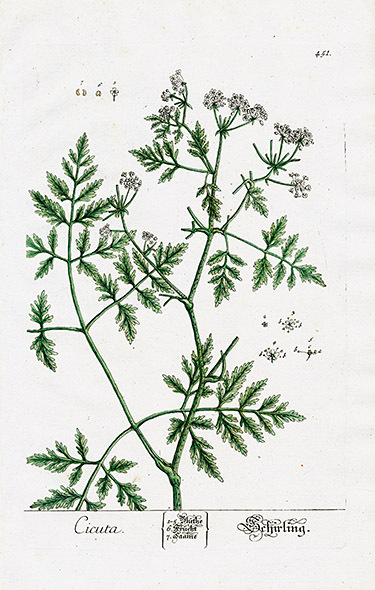 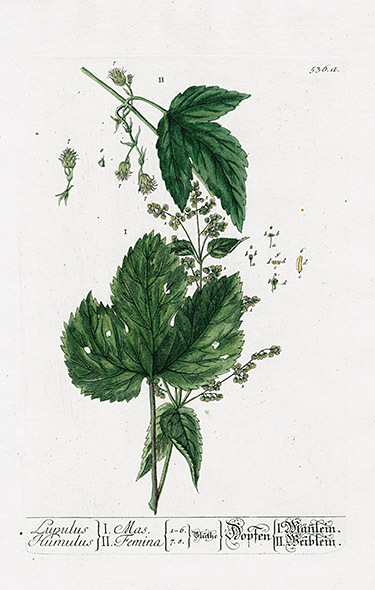 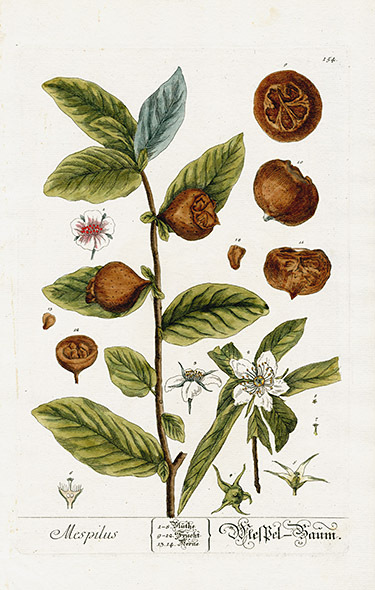 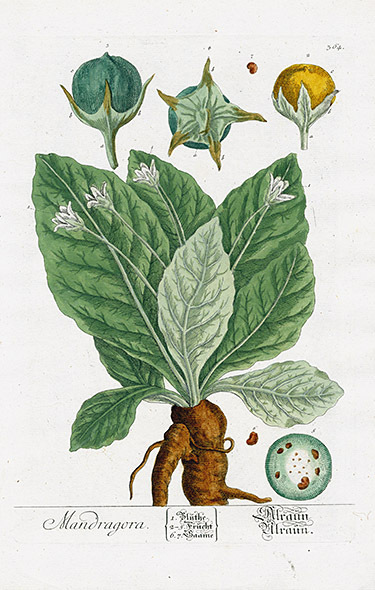 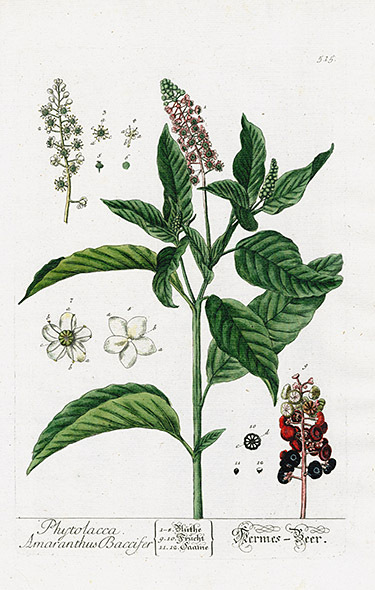 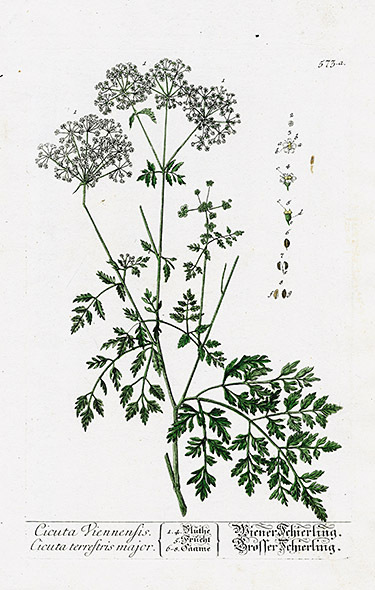 Elizabeth was truly a pioneer in every way, as Herbals were very rare at the time. 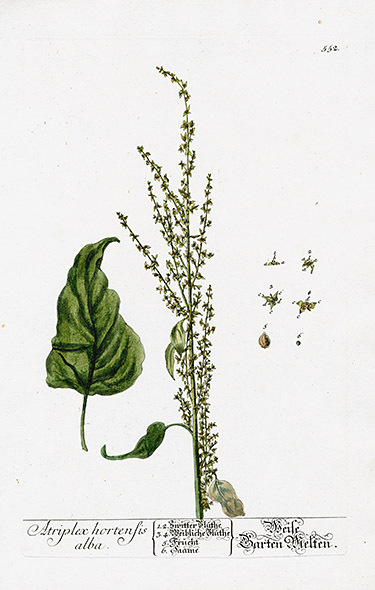 Her husband helped from prison and the book was a financial success. 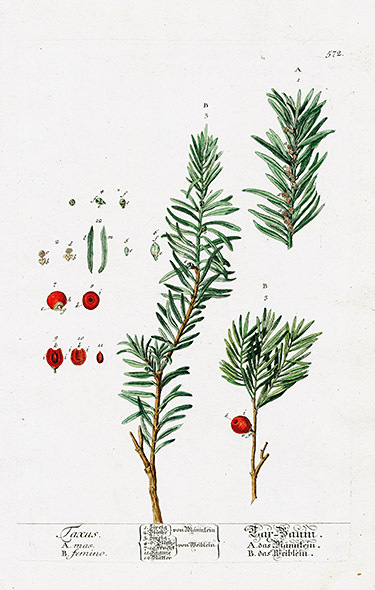 Elizabeth was able to obtain the release of her husband from prison, but sadly, he was soon in more trouble and was executed in Sweden in 1747 for high treason. 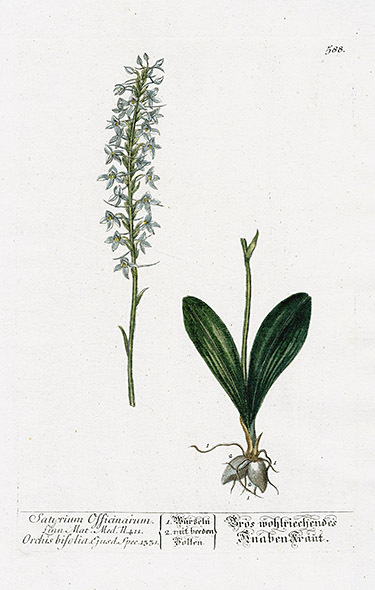 Elizabeth died in obscurity in 1758. 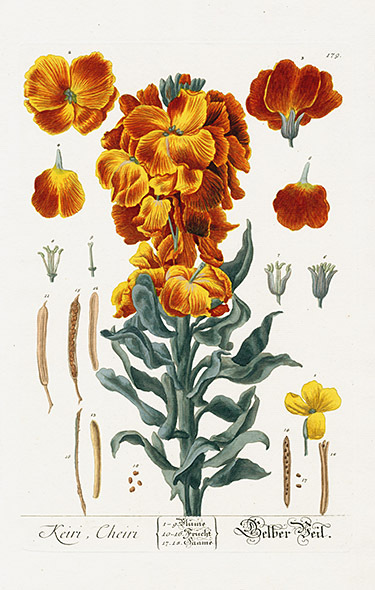 Her work of some 500 plates is a jewel of artistry and a testament to the fortitude, industry and entrepreneurship of a truly modern woman. 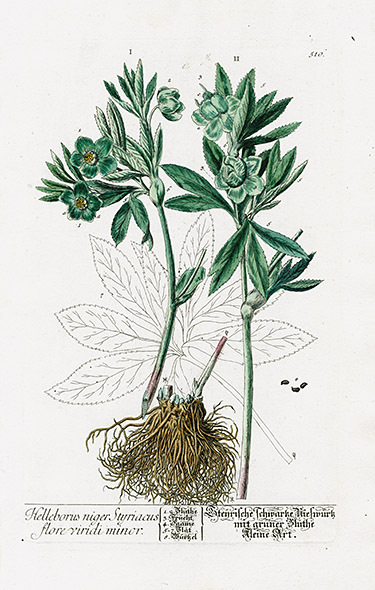 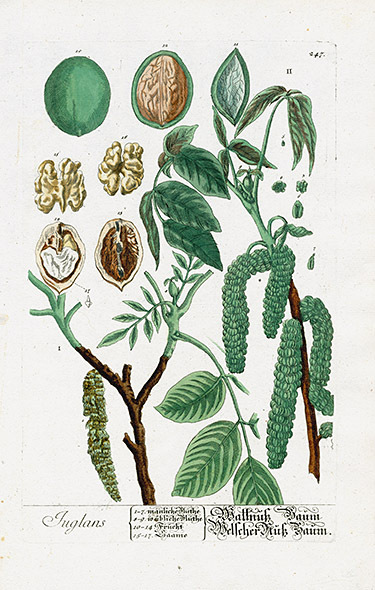 This work was reissued in enlarged form with re-engraved plates in Germany in 1757 by Jacob Trew, and it is from this folio edition of Herbarium Selectum Emendatum et Auctum that we are pleased to offer a selection of these marvelous antique prints.